HUGE PRICE REDUCTION!! 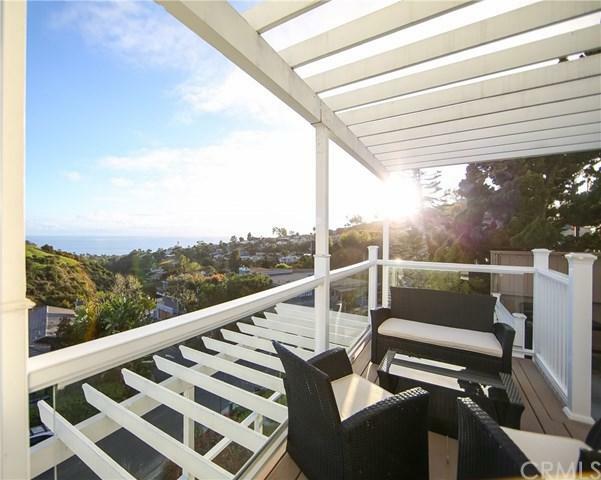 Idyllic is the only word to describe this remodeled 5-bedroom, Coastal Modern Contemporary home in Temple Hills / Laguna Beach. 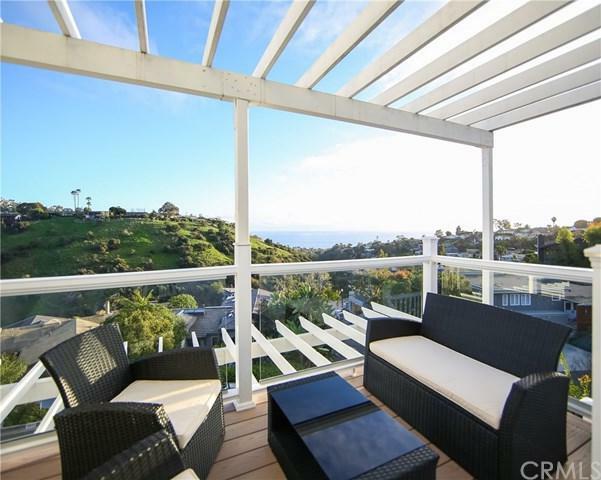 Whether you need the perfect spot for family time or a coastal retreat, live on a quiet cul-de-sac surrounded by canyon or ocean views from all five levels. A spacious kitchen opens to a living room w/ a fireplace separating it from a nearby formal dining room, complementing the 3rd floor oversized family/media room. The lower level houses a private studio complete w/ its own full bathroom and laundry room, perfect for an extended stay. The Master Suite has its own fireplace and private, large deck with gorgeous views. 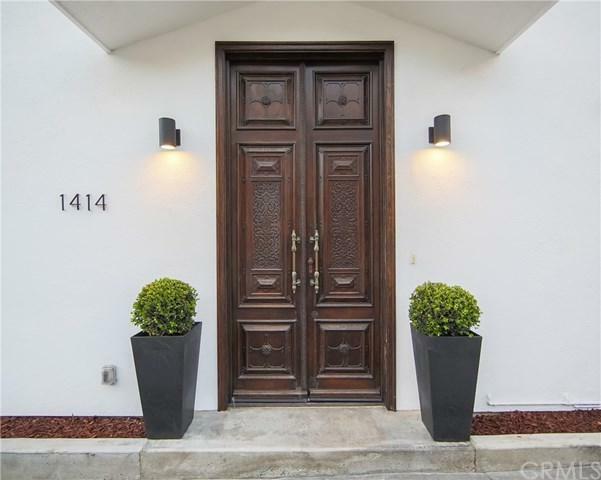 Recently repainted inside & out, all rooms were remodeled to the most contemporary of tastes: bamboo flooring, crown molding, double pane windows, caesar stone counters, new carpets, wood flooring, external lighting & fixtures in all 4 bathrooms. Reap the benefits of new heating & cooling system, tankless water heater, rewiring and re-plumbed to meet high standards. Access the dual 2-car garages from your choice of either the street below or direct entry at the top of the driveway. Outdoor vinyl decking on every level of the house promises low maintenance so you can simply live in quiet luxury. 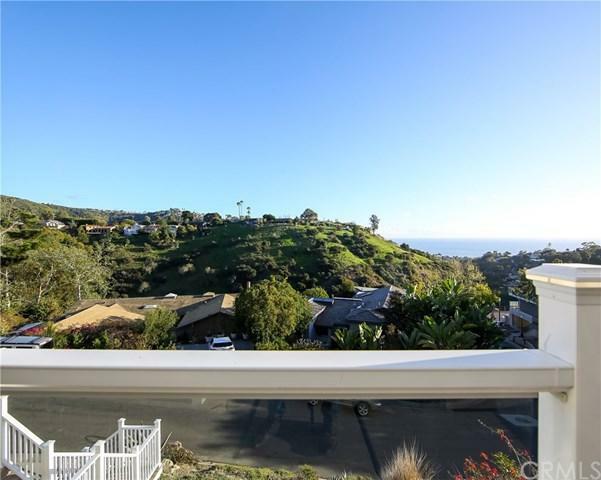 The neighborhood is serviced by +G+Top of the World+G- Thurston Laguna Beach High School, & holds many hiking trails around it. Every inch of this home effortlessly brings the peace of its surroundings directly into your home. Sold by Toma Groza of Coldwell Banker Blackstone.